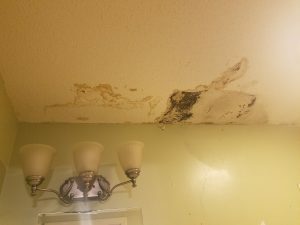 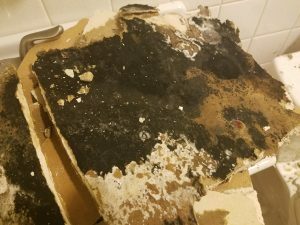 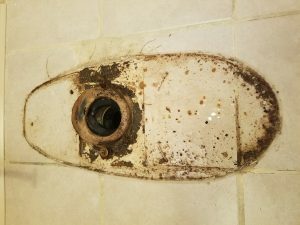 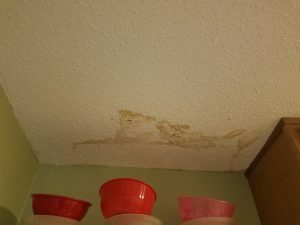 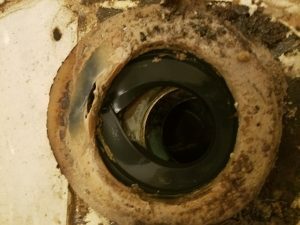 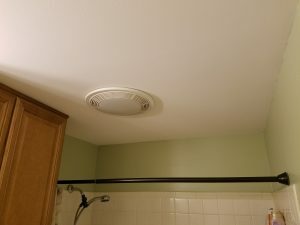 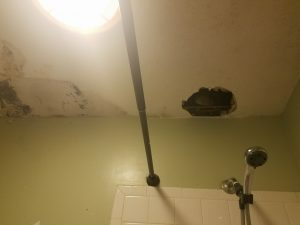 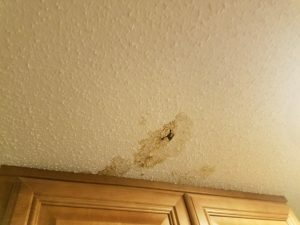 Due to an improperly installed toilet in the bathroom of the 3rd floor apartment upstairs, the ceiling in the lower unit began to leak and show signs of excessive mold. 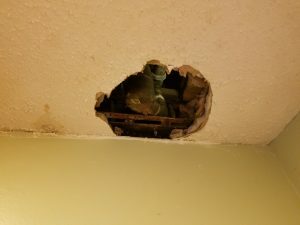 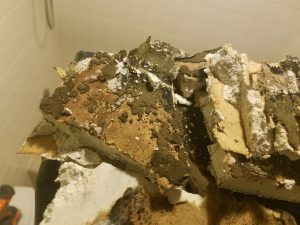 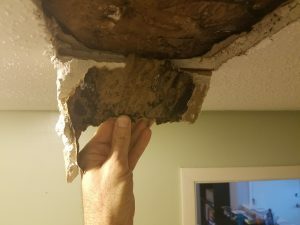 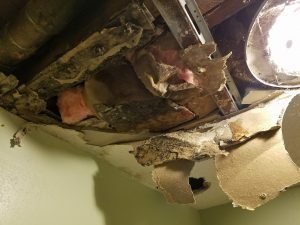 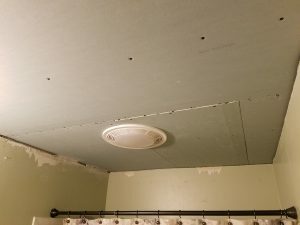 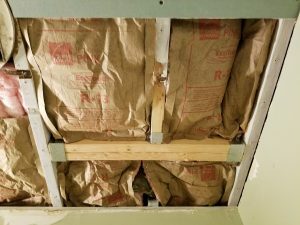 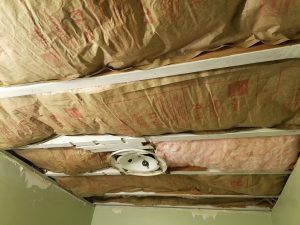 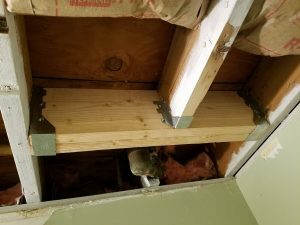 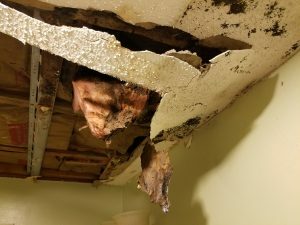 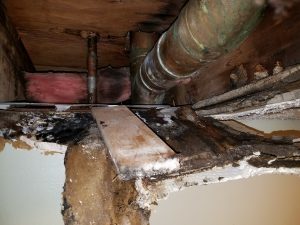 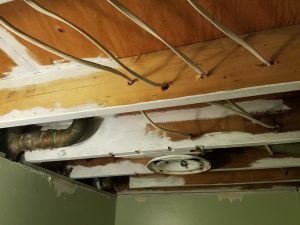 After repairing the upstairs bathroom’s toilet (the wax ring was installed off center causing the leak), I then had to ripped down the entire ceiling of the lower unit, which was so water damaged and covered with mold, that I couldn’t save any of it. 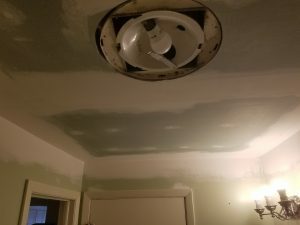 After demo I cleaned all remaining mold on the joists with a borax/vinegar solution, then painted those areas with KILZ. 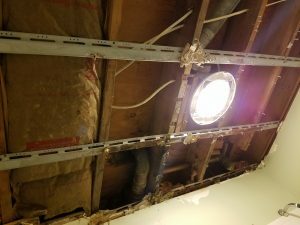 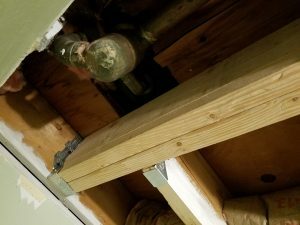 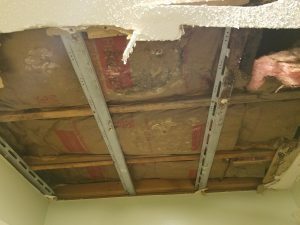 I also needed to rebuild a section of the ceiling where a joist was improperly cut away for the tub drain. 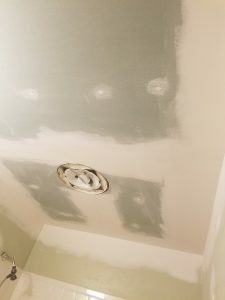 I then installed new insulation, moisture resistant drywall, taped the drywall with 4 coats joint compound, finish sanded it, then primed & painted the ceiling and the walls. 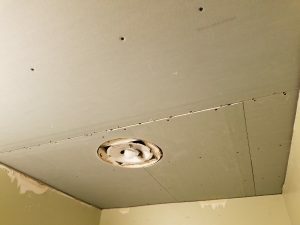 Drywall Ceiling Replacement How-To Video..